Form: Pyramidal with central leader; lower branches droop and upper are upright. 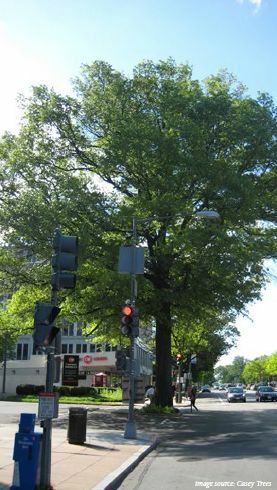 Use: Excellent street tree for wide avenues and streets. Plant to restore historic allees on Ridgewood Avenue. Limitations: Prefers full sun. Needs adequate room to develop or it will heave & damage sidewalks. Glen Ridge Parkway & Ridgewood Ave.